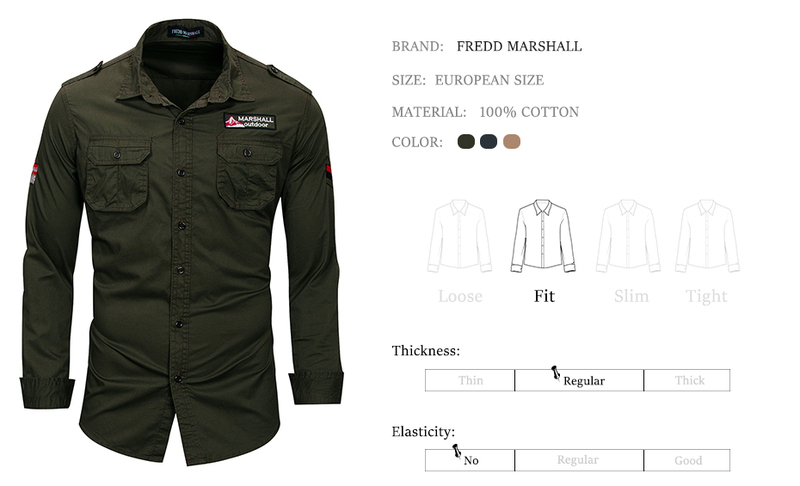 A shirt with a variety of fashionable elements and military design style. Military long sleeve shirt includes 2 chest pockets with button placket. A “MARSHALL outdoor” badge embroidered above the left chest pocket. A “FREDD MARSHALL MARINE” armbands embroidered in the right sleeve. A Tri-bar military emblem armbands embroidered in the left sleeve. With solid shoulder straps on both sides. Rounded hem, single-button barrel cuffs. 100% cotton. The comfortable fabric makes this shirt suitable for any season. To better fit your body size, we are using the European Size. but it will different from the other size, please notice before you buy, or please contact us if you need help. 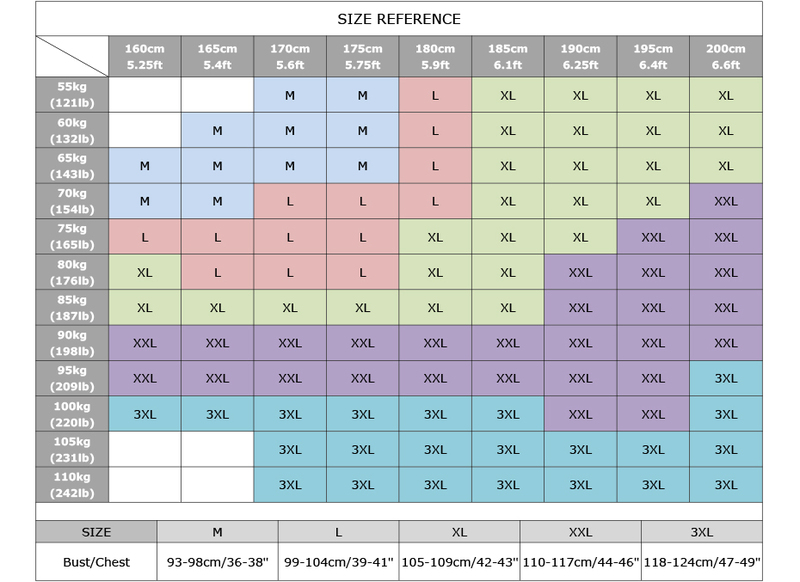 In order to make it easier and more convenient for you to choose the size, we placed a size suggestion table below, you can refer to. This is Europe Size, you can choose your normal size. If you are not sure about the size, please feel free to contact with us.